Riccardo Freccia Bestetti, an Italian artisanal shoemaker. Anthony Delos Bottier, formerly of John Lobb Paris. Dimitri Bottier, C&J Paris last & shoemaker's own site. Perry Ercolino, PA-based bespoke shoemaker with appointments accepted in NYC. Ducker & Son of UK, now made by Grenson according RJMan. Donegan of France. Nice shoes at reasonable prices. Gaziano & Girling, Tony Gaziano is formerly of Edward Green bespoke. Catalog, courtesy of Centipede. Gentry Complex, a Japanese maker. Guild of Crafts, a Japanese seller and maker of super high end hand-crafted shoes. Retail $3000 to $4000. Kiton Shoes, click on “production” then “shoes” for shoe making process and click on "lines" then "shoes" for pix of shoes. Klemann Shoes, a German cobbler. Koronya, Budapest bespoke maker and SF member MarcellHUN. Alain Madec, a French maker. Maftei of Vienna, RTW from €300, bespoke from €500. Raymond Massaro, Paris bespoke maker. Janne Melkersson, top Swedish custom shoemaker and also a fellow forum member. 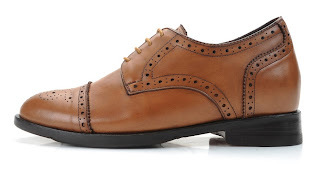 Extremely high quality bespoke and RTW shoes with attractive prices. He also offers shoemaking classes in a serene northern Swedish village. J. P. Myhre, also a fellow forum member. New & Lingwood, also sells online. Pape, a Parisian maker and retailer. Peron & Peron, an Italian shoemaker. Ludwig Reiter, an Austrian shoemaker. Koji Suzuki, a Japanese shoemaker, some of the most beautiful shoes I’ve ever seen. Vass. 46-page Catalog in pdf format. E. Vogel, a shoe and bootmaker (equestrian) in Little Italy/Chinatown. Bennie's Shoes, Chris is a member of ours. Watchout for its upcoming Grenson Masterpiece sale! Bodileys of Northampton, retailer of C&J and Sargent. 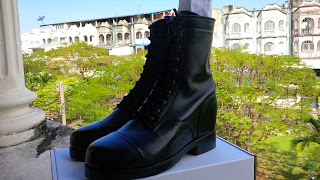 Bootsonline, an Aussie retailer specializes in boots and RH Williams products. La Botte Chantilly, French retailer of C&J. Edward Jones, a Japanese retailer, lots of EG & C&J pix. Currently EG is on sale. Kokon, A Japanese retailer, lots of pix of Japanese-made high end shoes. Lifegear Trading Post, a Japanese retail of high-end shoes, lots of pix. Loding, a French shoemaker, incredible price €130 for a pair of Goodyear welted shoes. Plal, a Malaysian retailer, C&J Handgrade prices can’t be beat. Riflesso, a Tokyo clothier, check out Meccariello Shoes, absolutely beautiful. Robert Old , for some rare C&J offerings. Otsuka M-5, online shop for the Japanese maker. Shipton & Heneage, selling rebadged C&J, Sargent, Yanko and others. Shipton & Heneage Paris, with some exotic designs. Shoes International, a British retailer. SW1 of Milan sells Italian-made British-inspired shoes. UKism, a Japanese site for fine English clothing including C&J. Upper, a French retail site. With C&J and Mantellassi. Upper Shoes of Lyon, France carries Lobb, StefanoBi and Corthay. Word Footwear Gallery, another Japanese retailer of the usual suspect JL, C&J, Santoni, Mantellassi and some more obscure brands. The Shoemart of Norwalk, CT. The only known Alden seconds outlet in the world. Alden also produces some models exclusively for this store. The site doesn’t list any Alden seconds, you must visit or call the store to purchase Alden seconds. Additional 10% off during their semi-annual sale. Skyvalet of D.C. carries Edward Green, Alden, Weston and Yanko. The site has many pictures of the shoes the store carries. It is currently clearing its Vass stocks at 20% off.